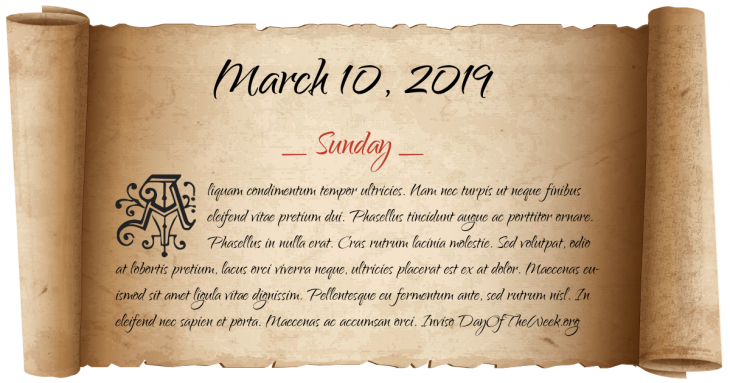 What Day Of The Week Was March 10? Napoleon I of France is defeated at the Battle of Laon in France. The Treaty of Guadalupe Hidalgo is ratified by the United States Senate, ending the Mexican-American War. In Memphis, Tennessee, James Earl Ray pleads guilty to assassinating Martin Luther King Jr. He later retracts his plea. The New York Times reveals that Governor of New York Eliot Spitzer had patronized a prostitution service. Who were born on March 10?